Died: 7th May 1917; age 22; Died of Wounds. 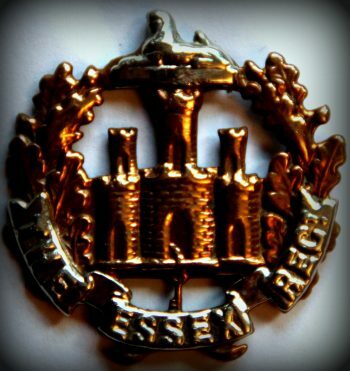 Rank: Private; Service Number: 33131; Regiment: Essex Regiment, 10th Battalion, ‘A’ Coy. Relatives Notified & Address: Son of Harry & Emily Buckman, of 18, Dover Road, Ipswich. 1901 5, Dover Road, Ipswich. Arthur was 6 years old and living with his parents, siblings & cousin. Harry Woodthorpe Buckman, 37, a Quay Labourer, born Burgh, Suffolk. Emily Buckman (nee Goodchild), 39, born Capel St. Mary, Suffolk. Charlotte May Buckman, 11, born Ipswich. Dorothy Daisy M. Buckman, 10, born Ipswich. Edward Harry Buckman, 8, born Ipswich. William Frank Buckman, 5, born Ipswich. Frederick Woodthorpe J. Buckman, born Ipswich. Edith Maud Buckman, 10 months, born Ipswich. Nellie Waspe, 20, a Boot Finisher, born Ipswich. 1911 18, Dover Road, Ipswich. Arthur was 16 years old, a Gardener’s Assistant – Mark’s Gardening. He was living with his parents & siblings. Harry, 18, an Iron Wheel Labourer. Frank, 15, a New’s Boy. Frederick, 13, a New’s Boy/School. Hugh Ralph Buckman, 6, born Ipswich.